New security has been added to DigiLabsPro Web gallery services, enabling professional photographers to allow access only to named invitees to gallery. "Today security is a growing concern online, thus we have added to our current security features"
DigiLabsPro which provides professional photographers with a comprehensive and flexible online proofing and fulfillment solution, today announced it had added security features to its Web Galleries, enabling professional photographers to allow access to galleries only to named invitees. 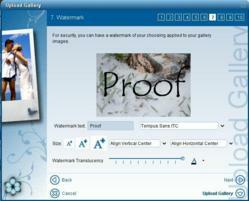 DigiLabs’ Web Galleries Pro provides photographers a template to easily create online photo galleries for customers to proof and order prints and photo products. Photographers are able to build a personalized gallery that reflects their own style and brand that seamlessly integrates into the existing website. In just minutes, they can access any number of color schemes, fonts, image sizes and more using the free software provided by DigiLabs. "We continue to hear from our customers, and today security is a growing concern online, thus we have added to our current security features, which include watermarking images and force login also an option to enable log in to close list of invitees only," said Chanan Steinhart, CEO and a co-founder of DigiLabs. "Setting this up takes a couple of minutes using the ordinary tool our customers use and provides an optional extra layer of security as needed to cretin end-users." Create and order custom, press print products including Coffee table photo books, Cards, Promotional cards, Double-Sided Proof Magazines and Calendars.